Federal Premium received a Navy ammunition contract worth $41 million over five years, the company announced recently. Additionally, the Indefinite Delivery Indefinite Quantity (IDIQ) contract, awarded by U.S. Naval Surface Warfare Center, Crane Division (NSWC), is for Mk 318 Mod 0 carbine small rifle cartridges. Federal will begin shipping the ammunition in early 2019 to Navy and Marine Corps units, according to the release. Firstly, the Mk 318 Mod 0 cartridge utilizes Federal’s unique barrier defeating projectile and is compatible with existing 5.56mm weapons systems, according to Federal. Also, the 62-grain open tip match, lead free projectile is designed to defeat intermediate barriers. Further, the round provides terminal performance through barriers commonly encountered on the battlefield, including vehicle windshields and doors. The NSWC conducts all Navy research, development, test and evaluation, engineering and fleet support for offensive and defensive systems. This marks the second major contract Federal has announced in the last few days. The company also secured a $75 million contract from the U.S. Department of Homeland Security (DHS). Additionally, that contract provides .223 Remington duty and training ammunition to the U.S. Immigration and Customs Enforcement (ICE). Also, the multi-agency contract also provides the ammunition to several law enforcement components and other federal agencies. 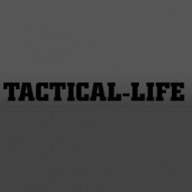 The post Federal Receives Navy Ammunition Contract Worth $41 Million appeared first on Tactical Life Gun Magazine: Gun News and Gun Reviews.